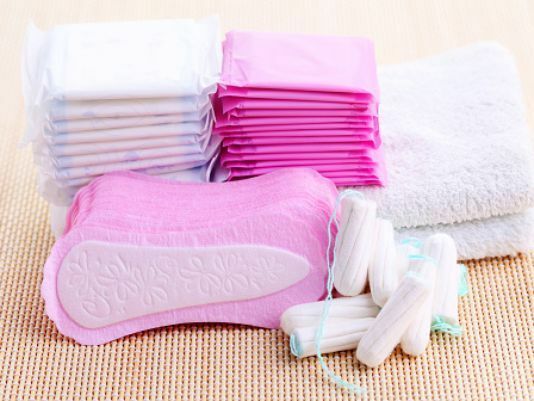 The Arizona Legislature is considering a bill that would provide incarcerated women with an unlimited supply of feminine hygiene products, including tampons, pads, cups and sponges. Currently, incarcerated women automatically get 12 free padseach month. They must ask an officer if they need more and may possess up to 24 at a time. Unlike in other states, if they want tampons, they must buy them. The average menstruation lasts two to seven days, according to Mayo Clinic, and happens every 21 to 35 days. Most hygiene-product companies advise changing a pad or tampon every four to six hours to prevent odor and infection. If a woman has an average menstruation of five days and follows guidelines to change her pad or tampon every six hours, she would need 20 pads or tampons per period. Some women experience heavy menstruation and require more. Separate from the health risks, a woman who doesn’t have enough pads or tampons will likely end up bleeding on her clothes. Base pay for prisoners starts at $0.15 per hour, which means a pack of pads would require about 21 hours of work. A 20-count box of Playtex Super Gentle Glide tampons is $3.99. So a woman who wants tampons and uses one box per period would have to work up to 27 hours to cover the cost of her own menstruation. Sue Ellen Allen, who served seven years in Perryville, said officers can and do deny requests for more pads. “The humiliation is really something you carry with you forever,” she said.